In recent times, every franchise under the sun appears to be receiving a Netflix adaptation. With source material seemingly running low, there's been a sudden shift towards video games. The Castlevania animated series already has a season up on the digital streaming service and now it looks like Diablo could be the next in line to receive the same treatment. Variety reports this Diablo animated series would be added to Netflix’s original programming line-up in the near future. This is based on a tweet from Boom! 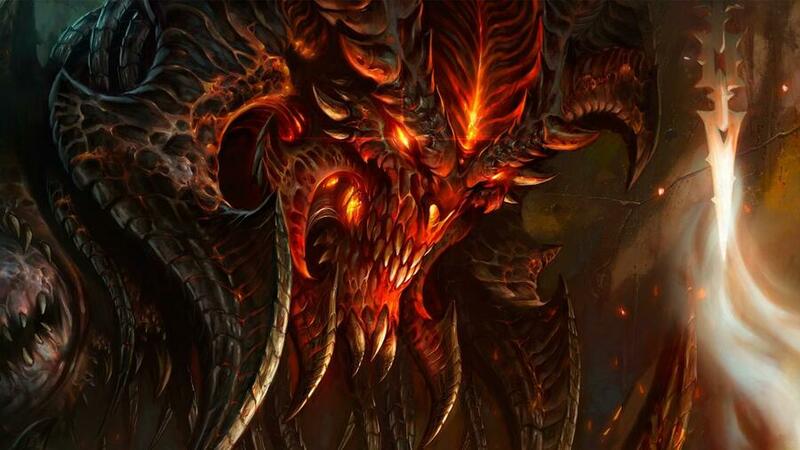 Studios founder Andrew Cosby, who said he was in final talks to write and show-run a Diablo series by Activision and Netflix. This tweet has since been deleted. Besides this, there’s currently no other information about the animation. As Variety notes, Cosby is the writer behind the Hellboy film reboot, suggesting he is a suitable pick for Diablo. 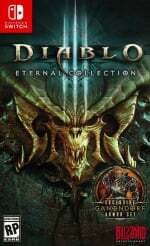 This isn’t the only Diablo news to make headlines in recent times - with Blizzard announcing the Diablo III Eternal Collection for the Nintendo Switch not long ago. This package contains all existing updates and is due out later this year on 2nd November. Would you like to see an animated Diablo series on Netflix? Do you subscribe to Netflix? Tell us in the comments below. @boop22 Hey I find this interesting at least. Back on topic. This could potentially be good, there’s a fair bit of lore to build around. Biggest worry I have is what visual style they decide to go with. I don't know about this, I would be surprised if Blizzard would want to do a TV show, movie etc. with any of there IPS after how bad Warcraft did. After all Warcraft is their main. Ever since I saw what they did with the Castlevania series on Netflix, I've been intrigued to see other game to series adaptations. Also, Netflix has been killing it lately with their originals, so here's to hoping it's gonna be good. @Tasuki Warcraft wasn't a failure, though. It did massive numbers in China. Made back nearly four times its budget. As a huge WoW fan, I won't deny the film wasn't too great, but by the numbers it was a success. I hope this is true! If it's going to happen, it'll be announced at Blizzcon. I'd much rather an animated series on Netflix than anything else as it frees them to do it right. Traditional networks, live action or a movie would all have constraints. I really enjoyed the Netflix Castlevania, which is something we never would have gotten otherwise. Can't wait for the episode with the butcher...the game was easy until i run into him. If it's based on diablo II Yeah why not. I hope it's even more violent than Castlevania. What is this going to be based on? Actually hyped if it's gonna be based on Diablo 2!! If only we could watch it on the switch..
Bring Deckard Cain into the fold, and I am all in! His stories in both Diablo 2 and even his smaller part in Diablo 3 was easily my favorite bits of storyline. If he is in it, I will watch it. Otherwise I might be disappointed. I hope we get to hear "AHH, FRESH MEAT"